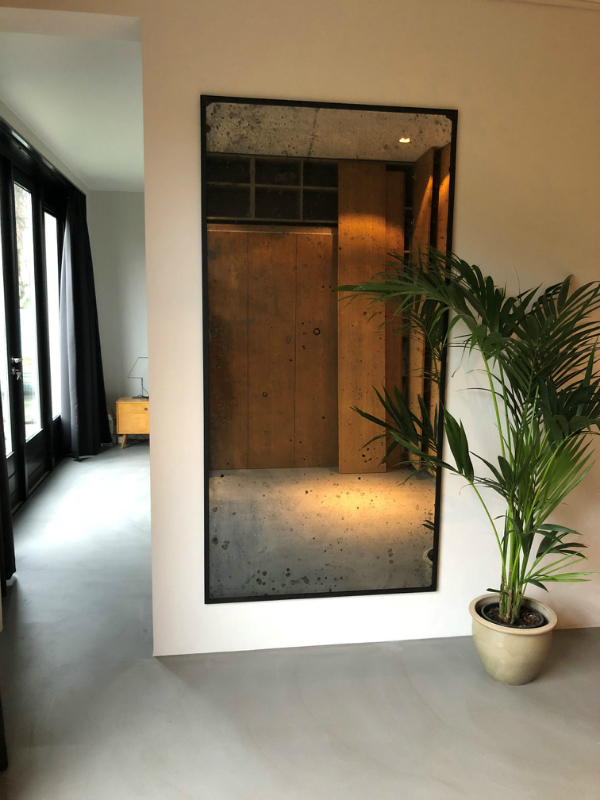 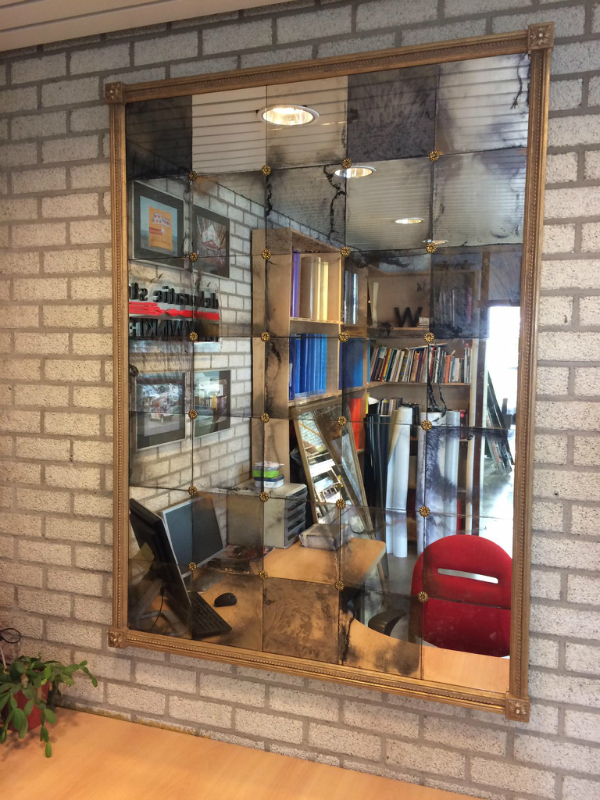 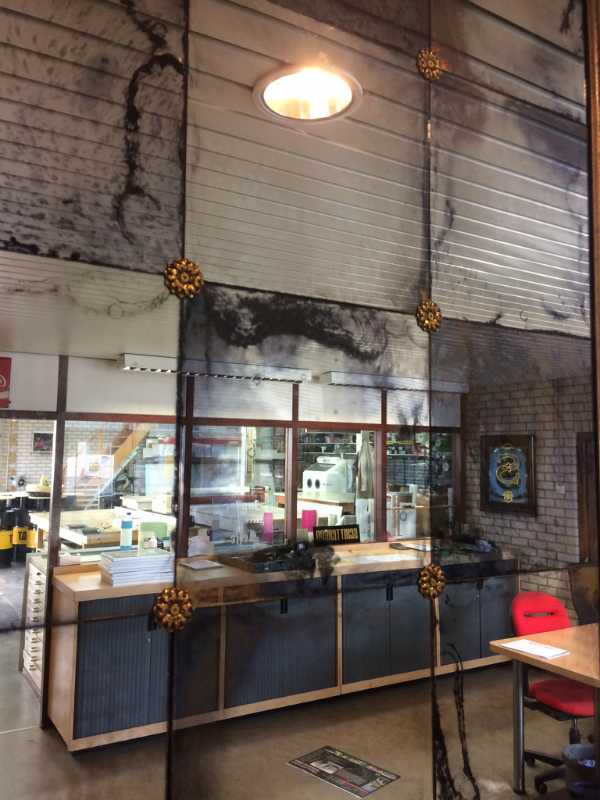 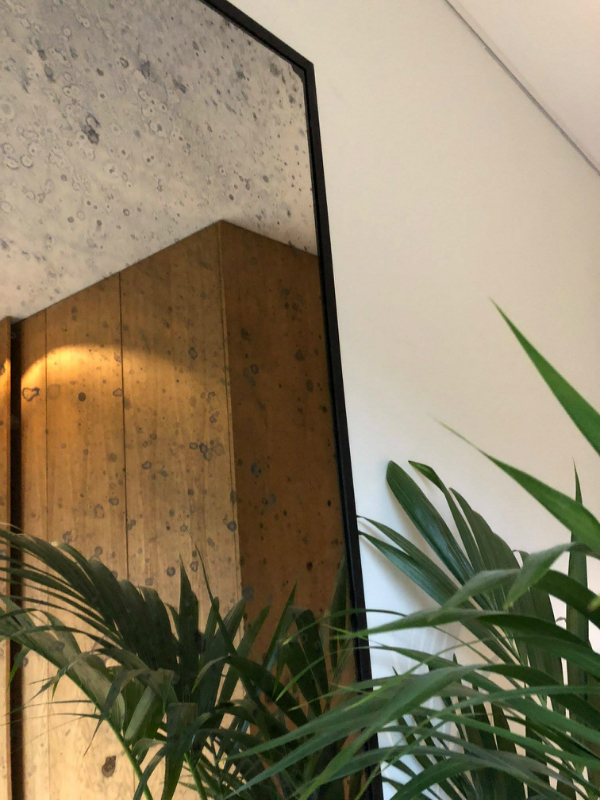 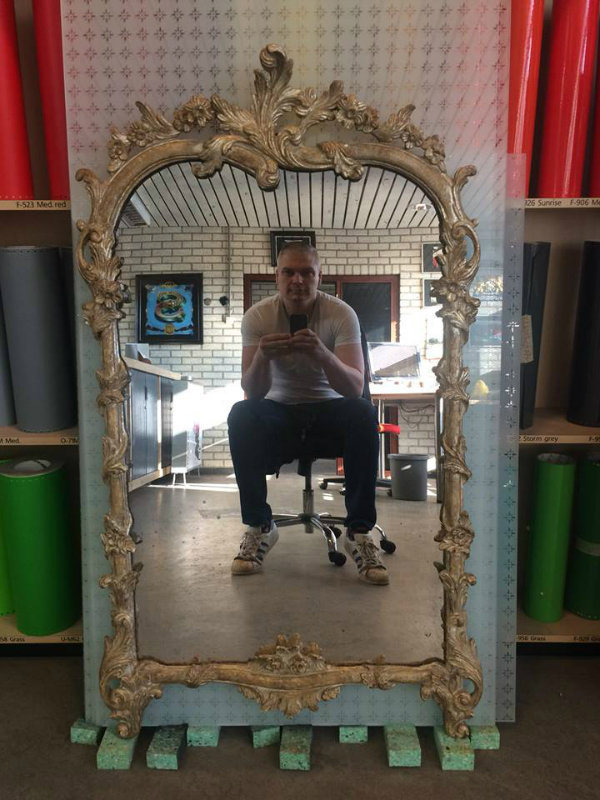 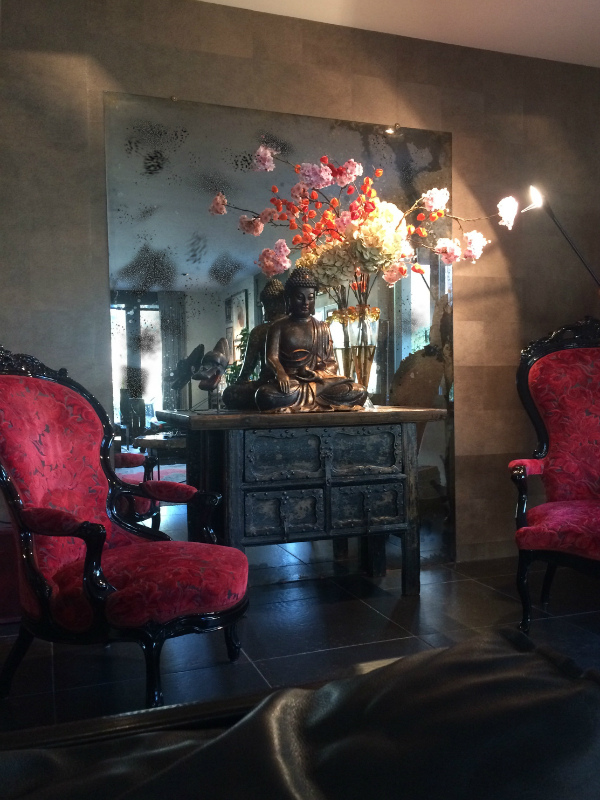 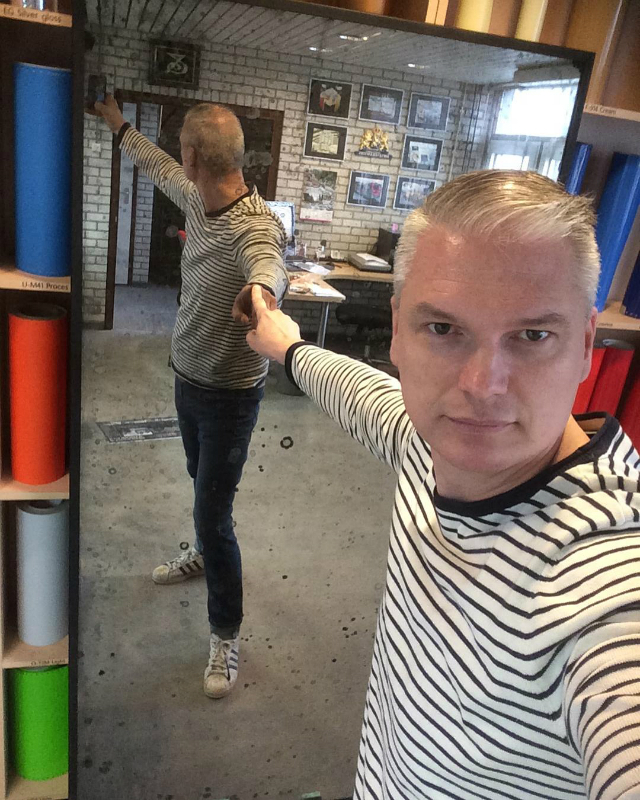 For years now Erik Winkler of the craft company Schitterend has been the only one in the Netherlands who makes handmade antique mirrors. 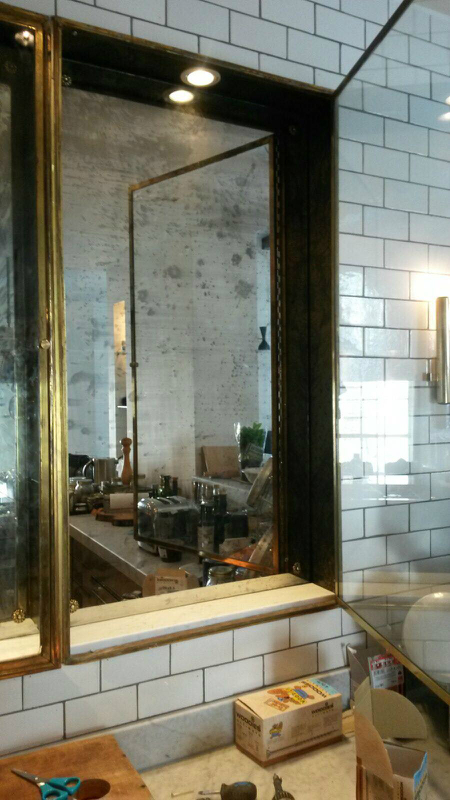 The process of these mirrors is exactly the same as the silvering process of glass as it was done 100 years ago. 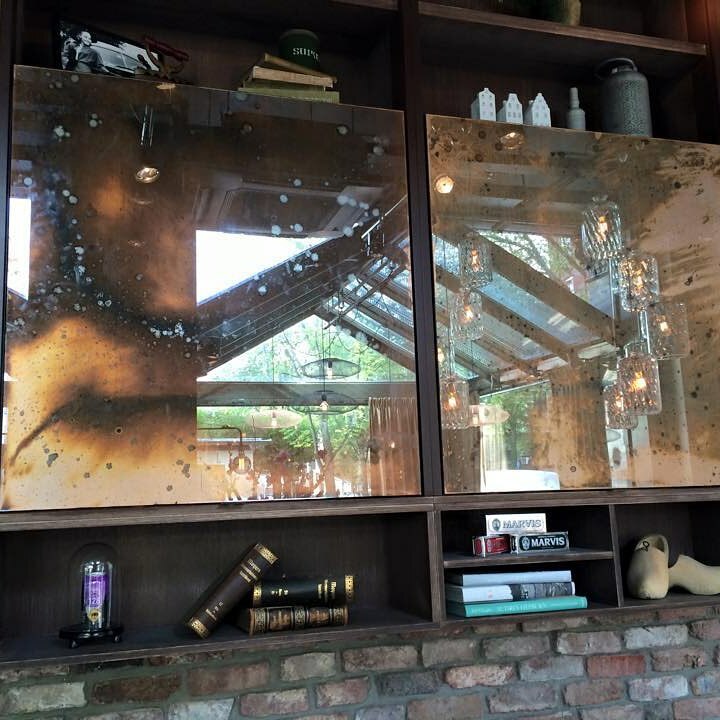 First the glass is cut to size in any thickness and finish cut and possibly provided with a polished or even a beautiful facet edge. 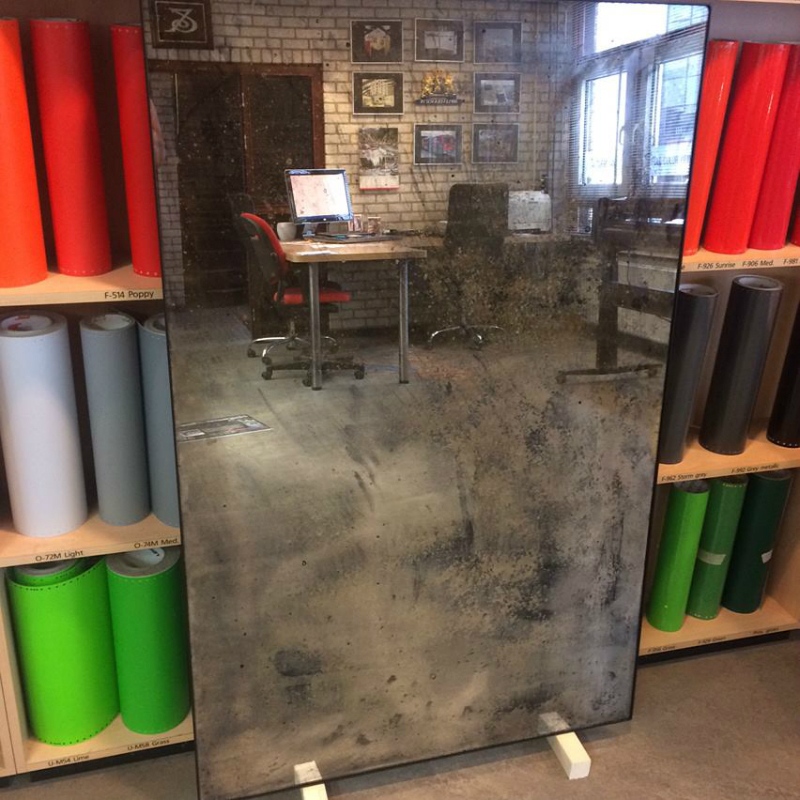 This glass is first cleaned very well by hand, after which the glass is silver-plated with fresh daily solutions. 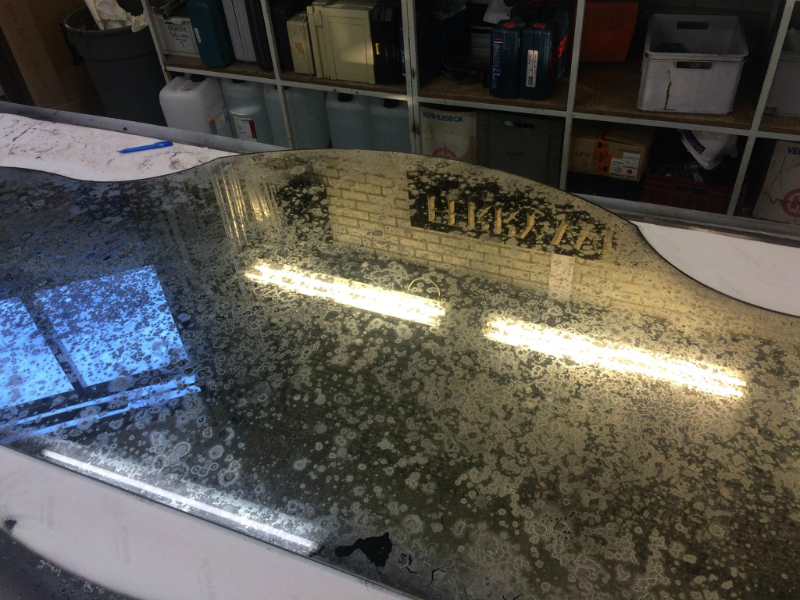 During the redemption we apply the patina. 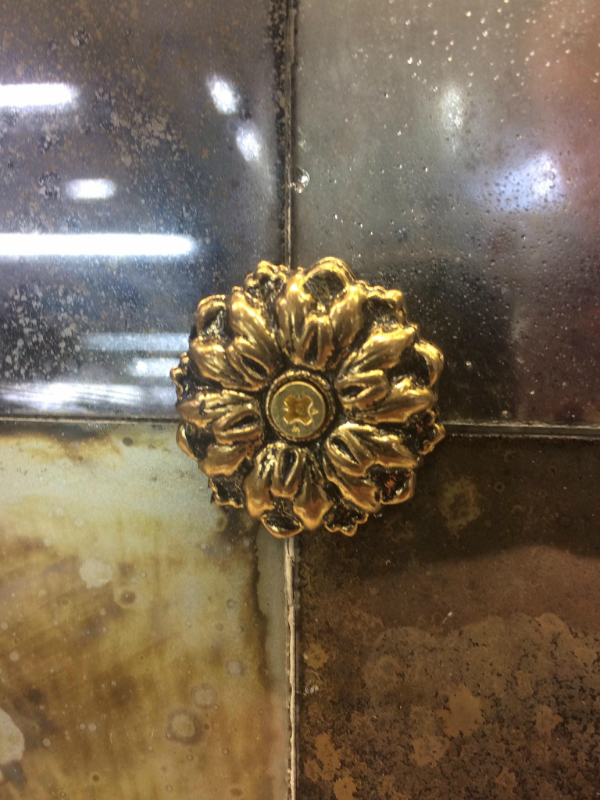 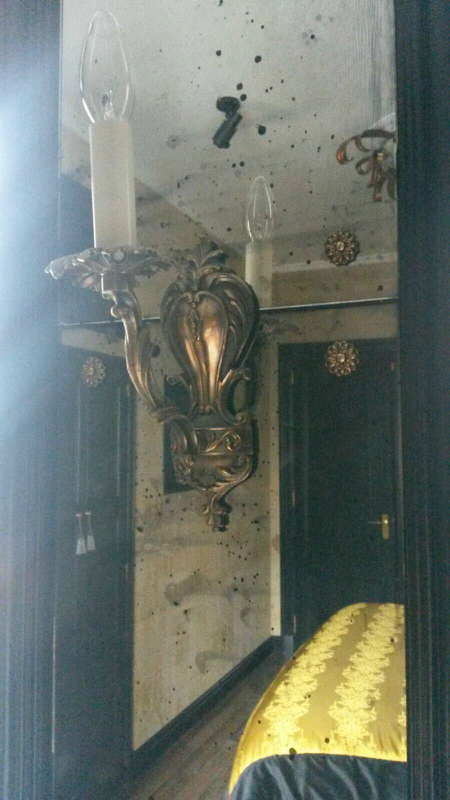 This patina happens with exactly the same substances that normally do not affect a mirror after 100 years or more. 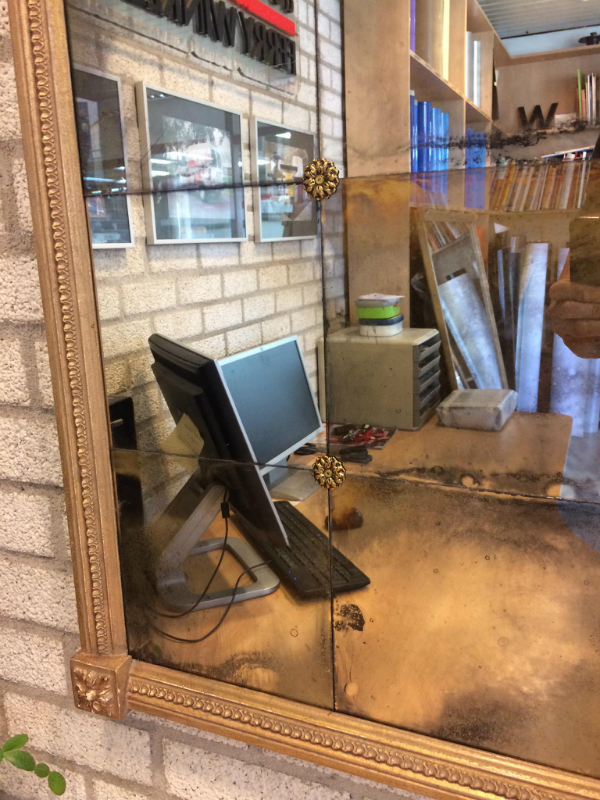 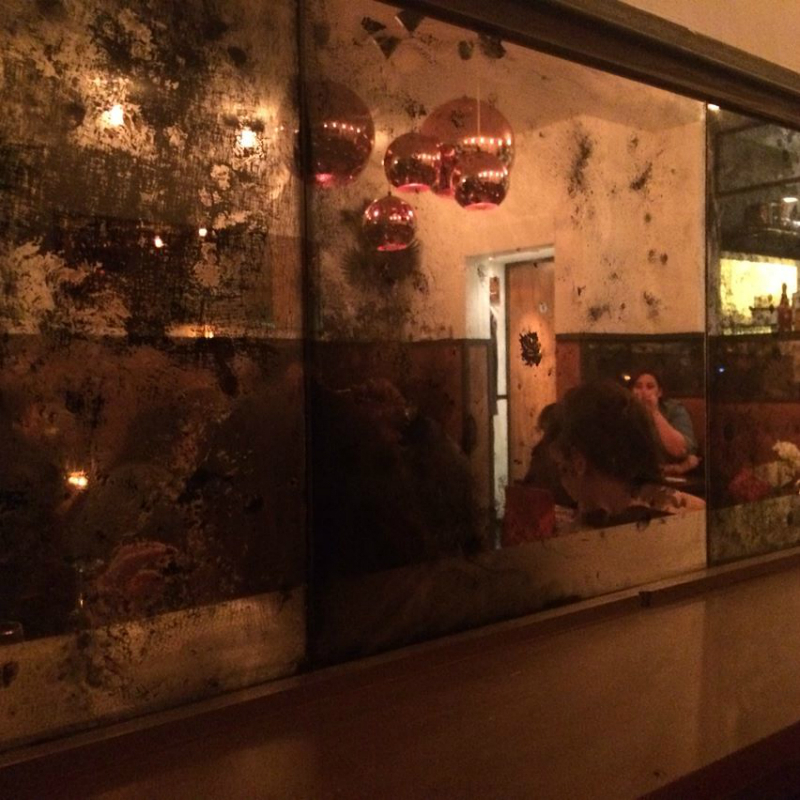 This gives every mirror a unique patina and weathering and no mirror is the same. 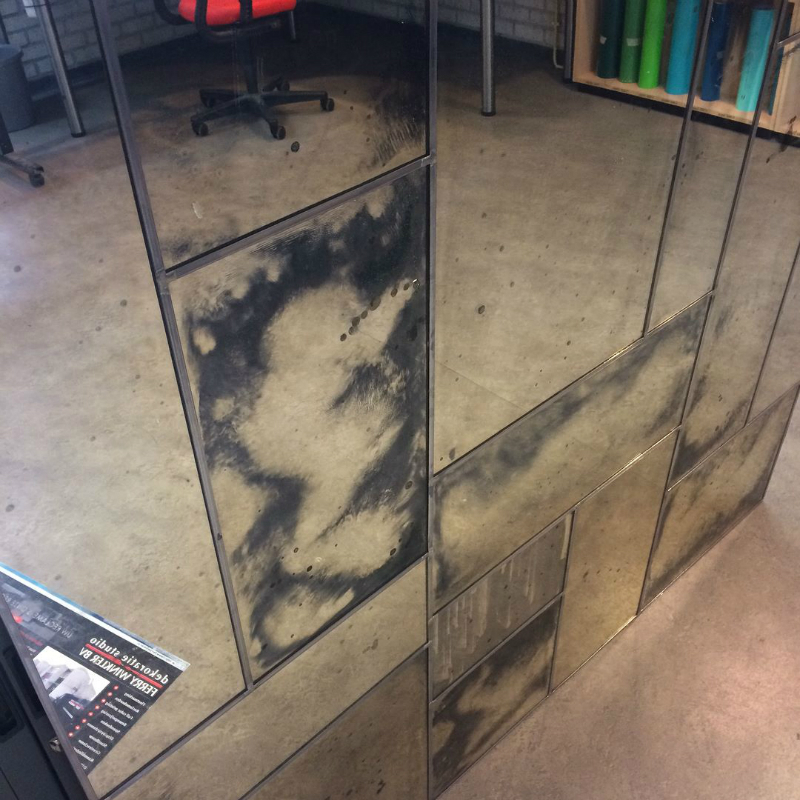 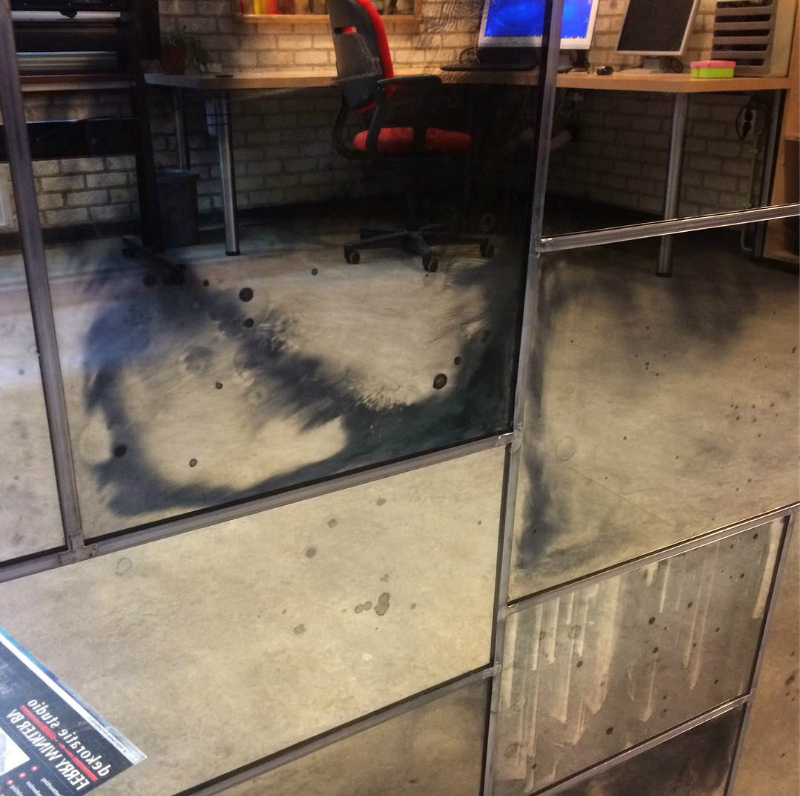 In fact, the degree of weathering at these mirrors can be determined predominantly by the customer in advance. 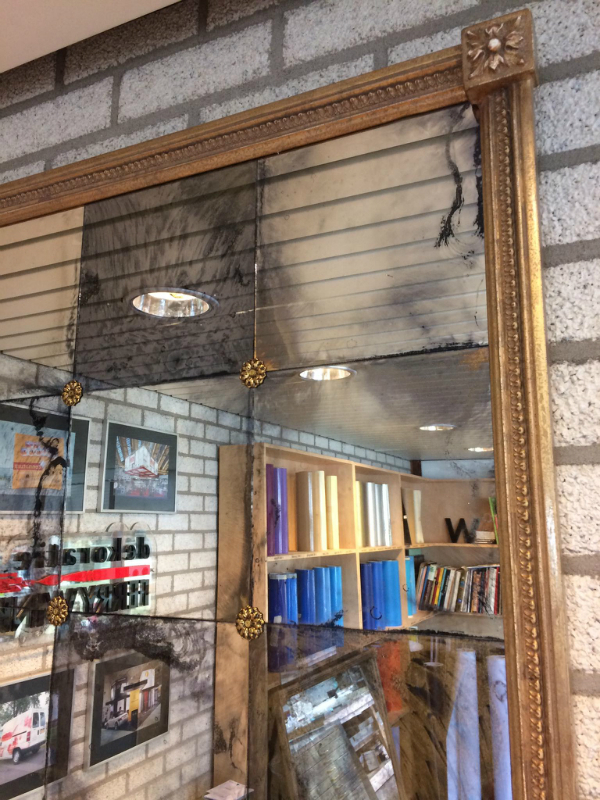 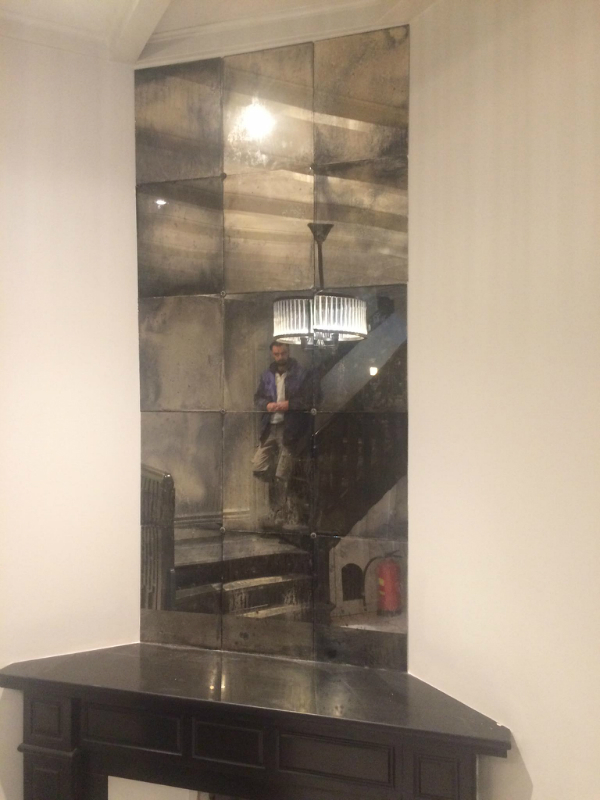 If you have a wish to place a decorative mirror tile wall in your home or reception room or perhaps just place one large mirror above the fireplace, you have now found the right address. 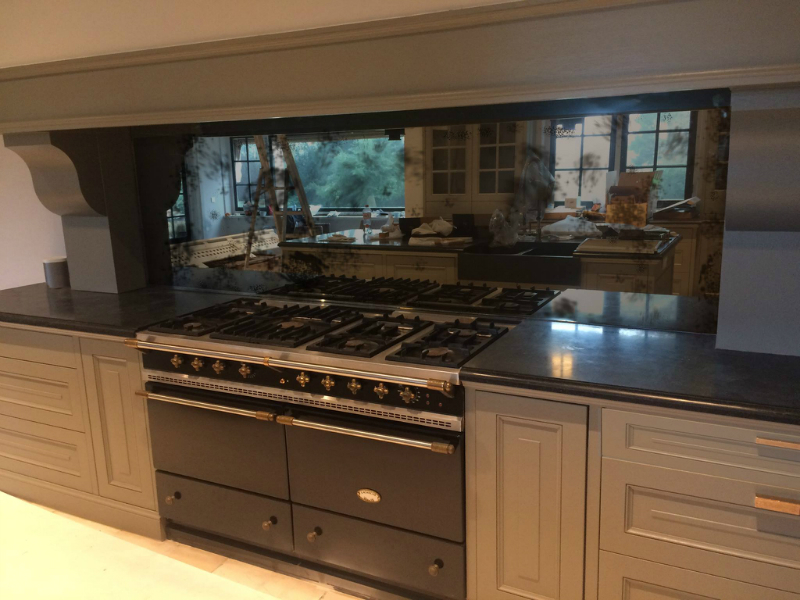 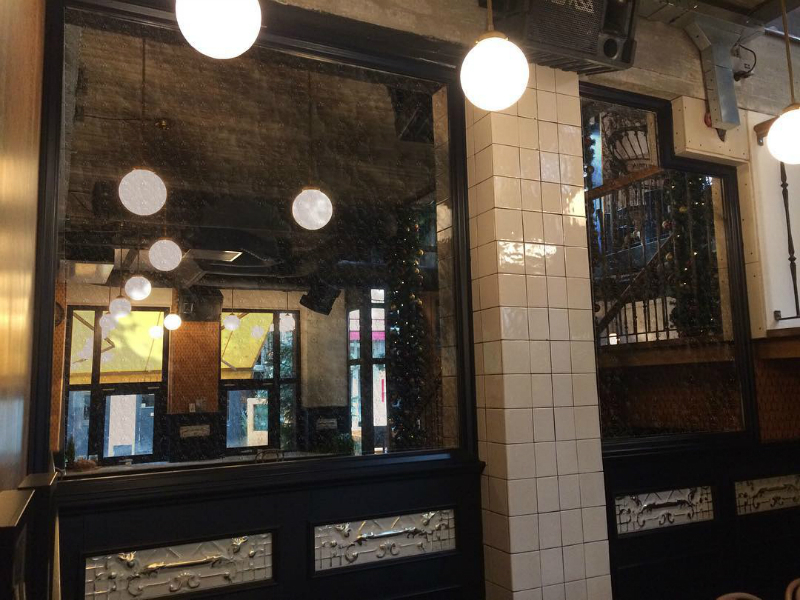 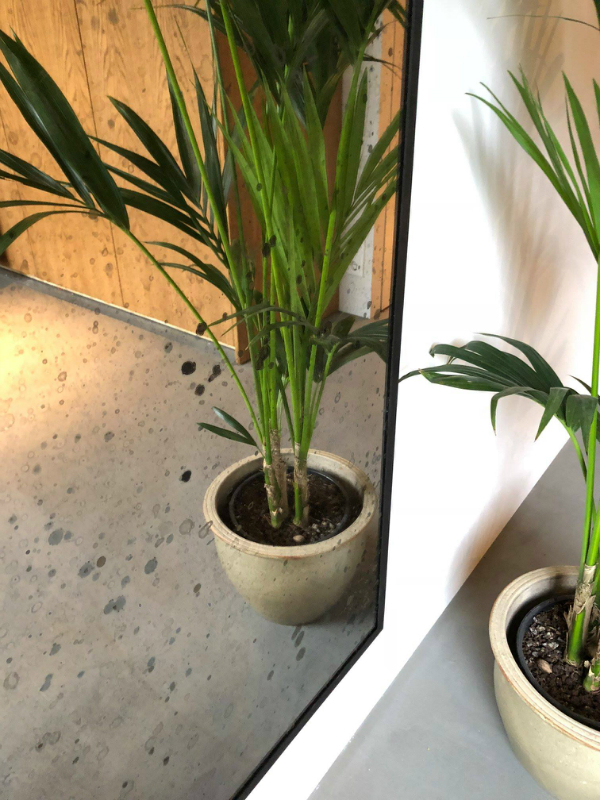 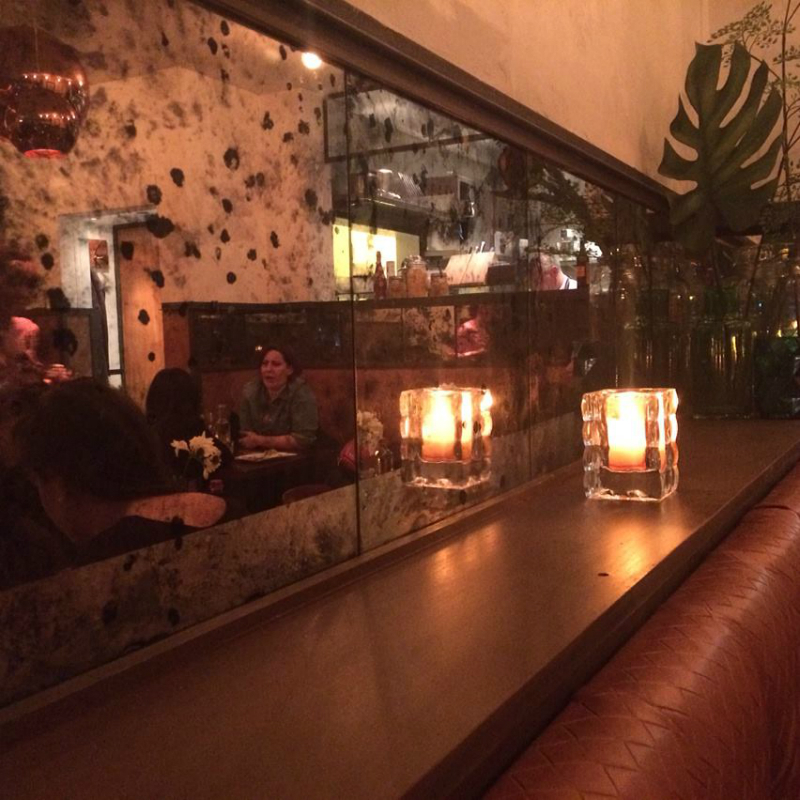 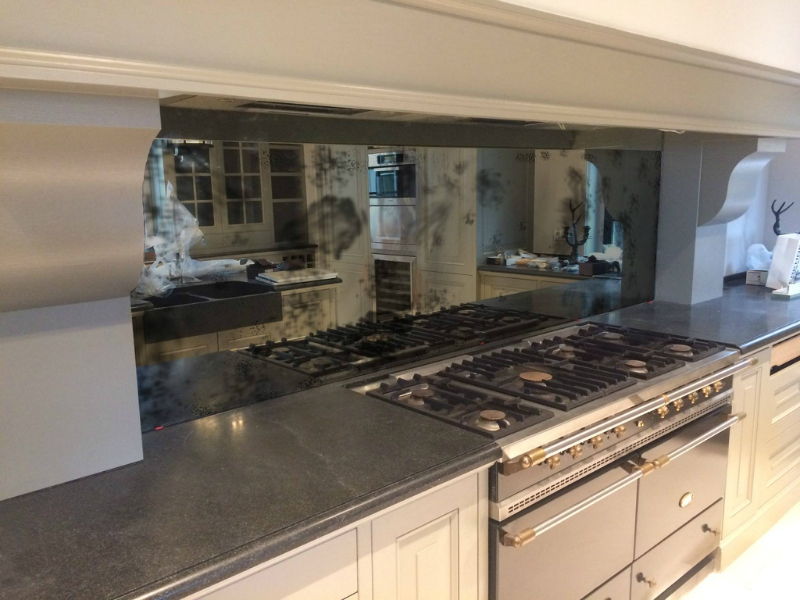 If you click on the photo on the left you will enter a photo slider, where various mirrors, mirror tiles with or without frames or rosettes can be seen. 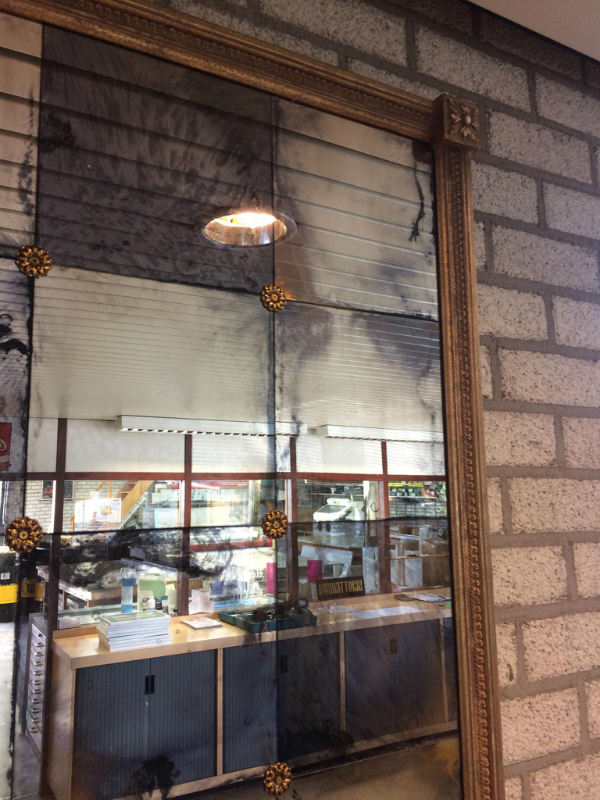 All examples have been made by us.